This month, we are looking at The Possibility of Connection at Union. The word ‘Union’ is defined as the act of joining together. Every day—over 300,000 people pass through our doors and as the gateway to Toronto, we have an opportunity to foster meaningful connections with communities across the GTA. This month, we provide a glimpse into Toronto’s black artistic community through two exhibits called Us. Here. Now. & A Thousand Paths Home curated by Wan Lucas. Combining the mediums of photography and digital art with our monthly theme of “Connection” these exhibits, which can be found in the West Wing of Union Station, highlight the plethora of talented multi-disciplinary artists and unique personalities from within Toronto’s black community. We hope you stop by and take a glimpse into the experiences and fabric of this community. 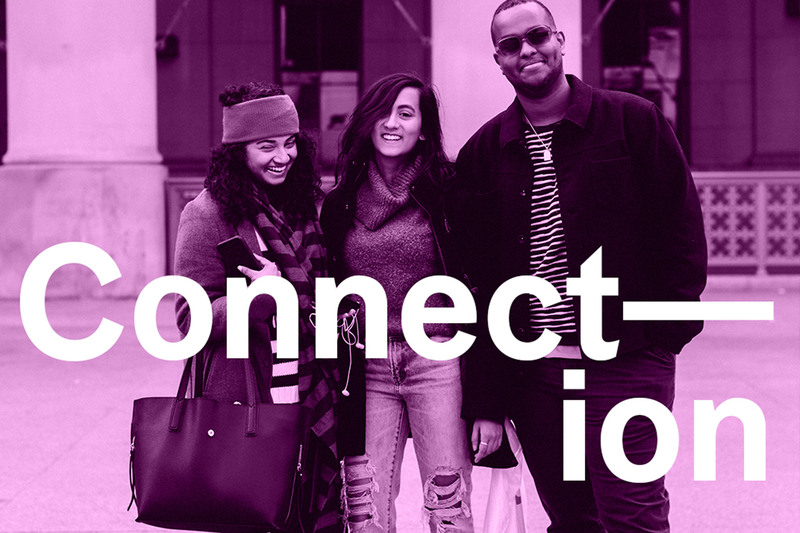 At Union, we are always looking to provide experiences that foster meaningful connections, whether as a testing ground for leading-edge ideas, or as a destination that presents both established and emerging talent. Our two marquee series Union Draws and Union Dance both return this month and connect our visitors to Toronto’s creative dance and design communities through our partnerships with Fall For Dance North and OCAD University respectively. Our multidisciplinary programming vision is complimented by TD Music Presents bringing you the sounds of Quincy Bullen on February 28th. TD is investing in connecting our communities by creating spaces where we can all feel accepted. This platform provides the opportunity for artists to reach their full potential, performing in one of the busiest venues in the country. We hope you enjoy the show! If your preferred medium is poetry then we have a special treat for you this month. Join us in the West Wing on February 13th to experience the first-ever, Poetry in Union: Railway Lines and Valentines. Making use of the spirit of Valentine’s Day, this event offers people personalized poetryon the spot. Share your story with a local poet and see your words transformed into a personal poem to take home a keepsake. As with all of our programming and events at Union, this is completely free. For those dreading Valentine’s Day-we also have you covered with a sweet treat for the single people among our visitors. If you head into the GO York Concourse on February 14th, the team at Skittles will gift you a sour treat in celebration of singledom.